The vessel was modified removing the second toilet to provide more space for storage. This could be reinstated using the second holding tank. Manual dump-through toilet with holding tank. This former hire boat that has been used as a liveaboard comes with all the prcticality that you would expect. She is well laid out with a comfortable saloon and removable table, easy to use galley, large main cabin with full-sized double berth, second cabin with two single berths and a family bathroom with deep step-in bath/shower. Heating is provided from a diesel stove sited in the saloon and serving radiators through the boat. The Beta diesel engine has been well maintanied and starts without trouble. She was lifted out for bitument blacking and replacement anodes in 2016. BSS certification is current until 2022. If you are wanting a liveaboard or to cruise the canals of England - this is a boat worth a look. 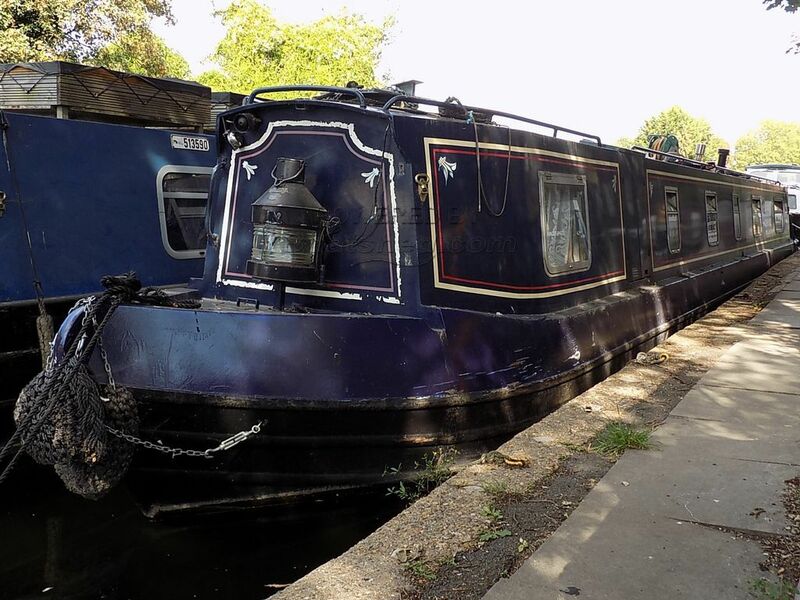 This Narrowboat 55ft Cruiser Stern has been personally photographed and viewed by Richard Thompson of Boatshed Grand Union. Click here for contact details. Please note this comments section is public. Please do not post your personal details here. To enquire about purchasing this boat, please contact the broker directly at richard@boatshedgrandunion.com. Please read our commenting guidelines before posting.